Bollywood Superstar and star of the millennium Mr. Amitabh Bachchan sung National Anthem of India. Eros Now has uploaded the video of the national anthem and duration of this music is 01:29 minutes. 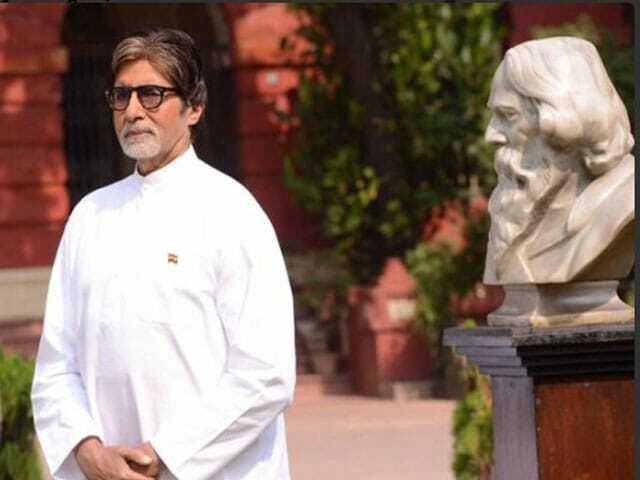 Amitabh Bachchan is singing this song in traditional Kurta-Pajama and behind him there is statue of Nobel Prize winner Late Mr. Rabindra Nath Tagore who wrote it. The music is quite peaceful and very monotonous.